• Visibly reduces Fine Lines and Wrinkles and improves Skin's Elasticity! Age defying minerals; the next frontier. • Experience hydration and brightening with our newest foundation innovation. 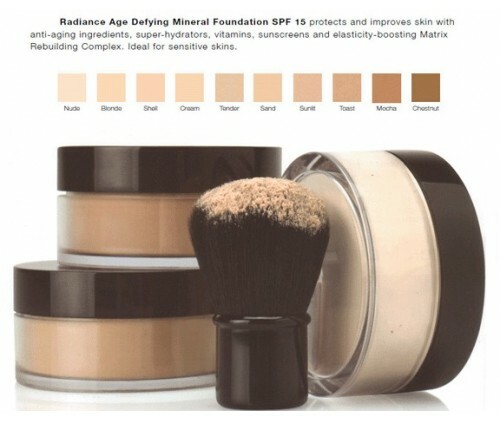 • This skincare infused foundation offers hydration with anti-aging benefits. • Matrix Rebuilding Complex contains patented 24hr patch technology. • Kabuki Brush not included.